At Clock Tower Self Storage - Mill Creek we work hard to find the right self storage unit for you. We pride ourselves on our outstanding customer service and a commitment to providing Mill Creek, Everett, Bothell and Lynnwood residents with a positive self storage experience. Getting organized is easy when you have the metro area’s top storage facility working for you. 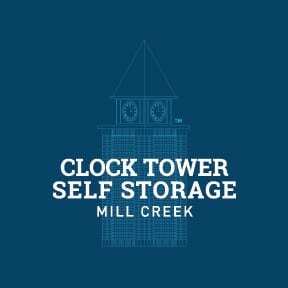 Clock Tower Self Storage - Mill Creek has a number of different sized storage units in Mill Creek for you to choose from. We offer ground floor drive up access and oversized freight and passenger elevators for your convenience. If you need assistance in deciding which size unit is right for you, our friendly and professional staff will be more than happy to help. We want you to feel comfortable with your choice to store with us. *Some restrictions apply. Contact manager for more details.